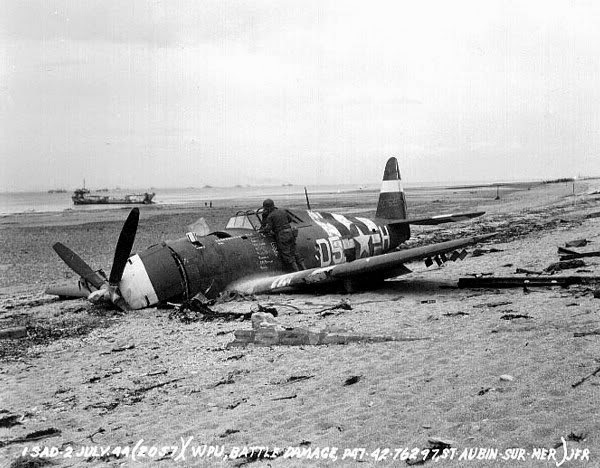 One of the better known pictures of Normandy in 1944 is that of a P-47 (42-76279) from 365th Fighter-Bomber Group, 386th Fighter Squadron, which crashed on Juno Beach on June 10th 1944. What follows is a collection of others' research, combined with my own but put onto one page for ease of access. Other sources are noted below. 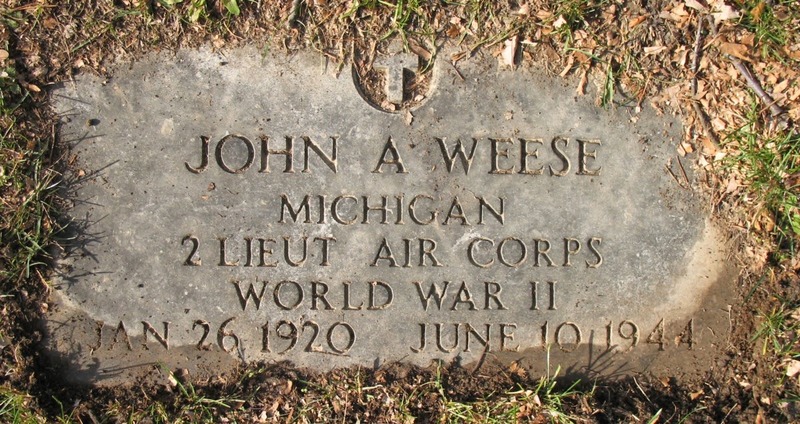 The pilot was 2nd Lieutenant John Alfred Weese. 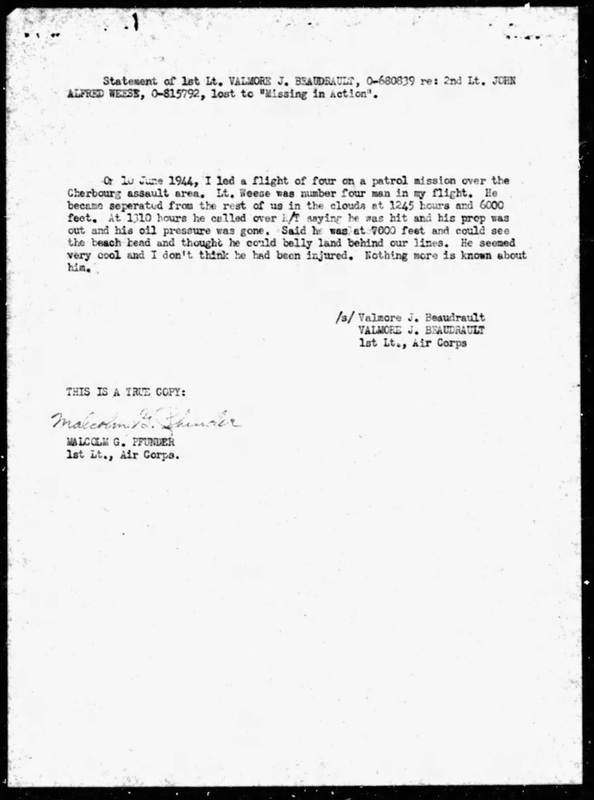 He lost his life as a result of the crash landing. 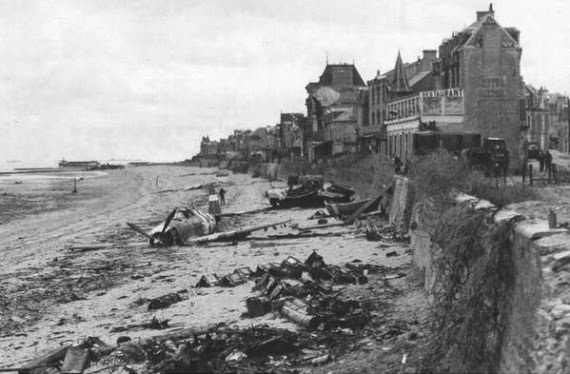 The aircraft landed in the sea, Weese's body being recovered the same day, with the aircraft itself on following day at low tide by personnel from No2 RAF Beach Squadron. * The above photos obviously show the aircraft after recovery, at more or less the high water mark. 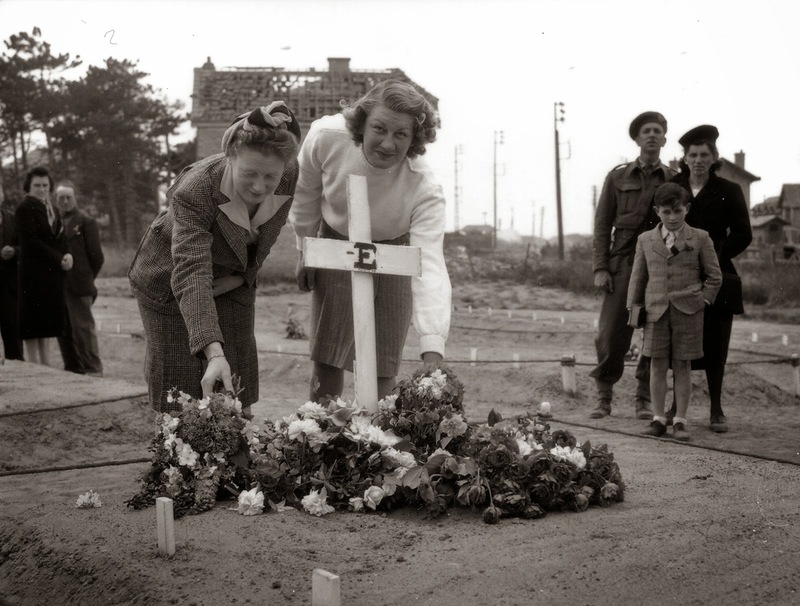 Weese was initially buried in the temporary cemetery in Bernieres sur Mer, a little to the east of the train station (now the tourist office), just visible behind the three people on the right of the picture below. 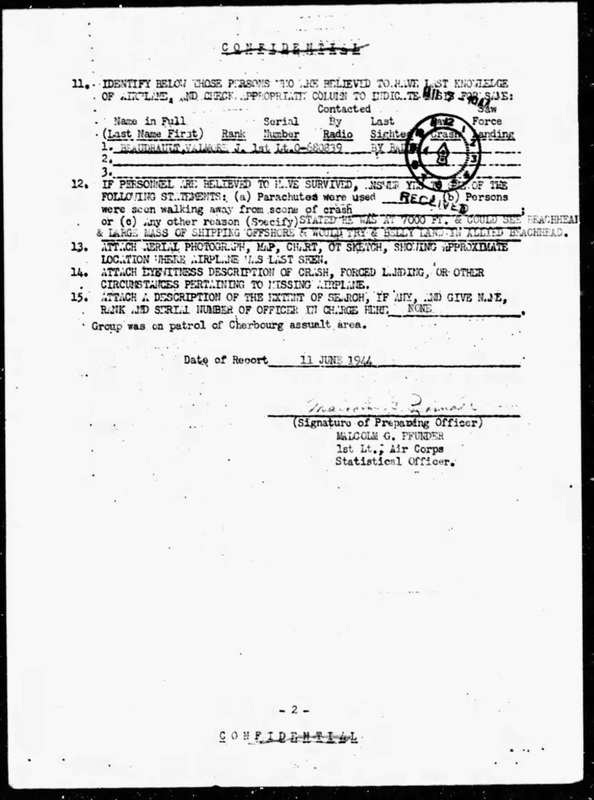 The MACR** for Weese appears to indicate that he hadn't been wounded or injured before putting his aircraft down. 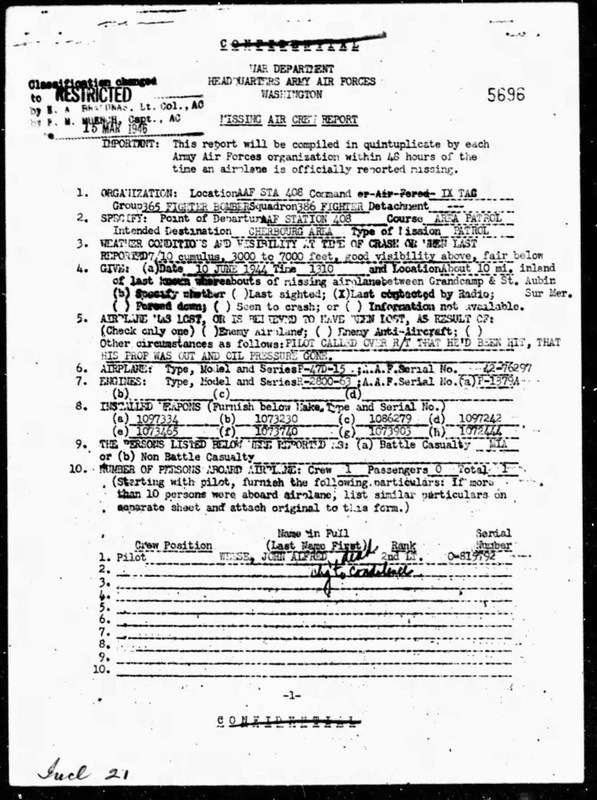 *Information from the RAF Beach Units website. **MACR from Fold3. A reasonably good resolution US Air Force photo of the scene can be found on the same website.